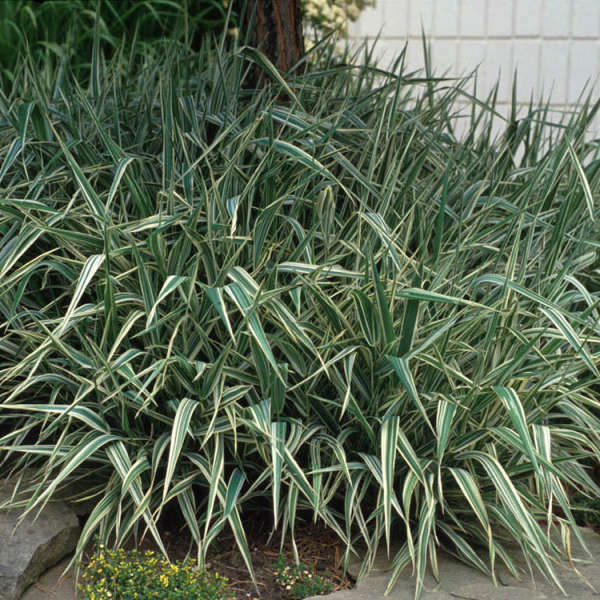 Striking, cream and green striped leaves make this grass one of the most distinctive variegated ornamental grasses available today. Phalaris is a cool-season grass, and its colors will be most pronounced during these periods. However, it is also a rapid spreader that must be contained unless it is being used as a groundcover or for erosion control. This grass is not grown for its seed heads. Phalaris will thrive under a variety of conditions including average to moist soils and sun or part shade. It will also tolerate periodic flooding. In the heat of the summer, the grass should be cut back to allow a crisp new batch of foliage to emerge. This second flush of growth will be attractive through early winter.